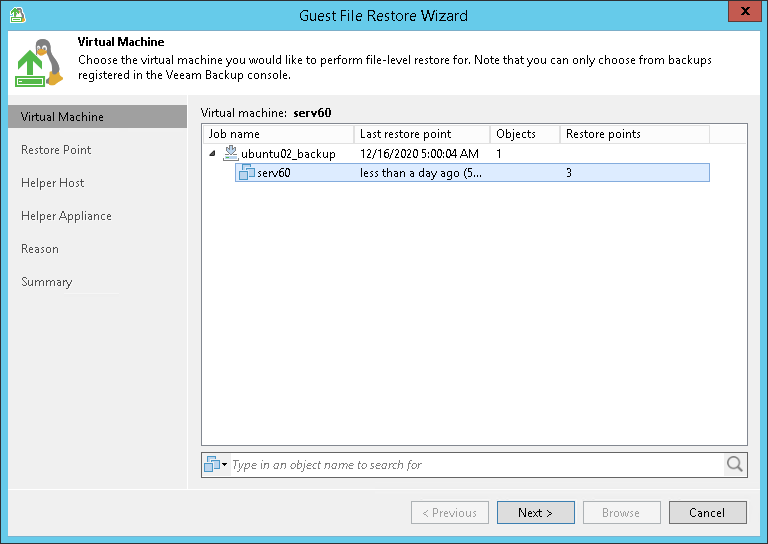 In the Virtual machine list, expand the necessary backup. To quickly find a VM, you can use the search field at the bottom of the window. Enter a VM name or a part of it in the search field.